Winding River students Learn 2 Fish! On May 5th Grade 4 students from Winding River Consolidated School had the opportunity to participate in the Learn to Fish program. 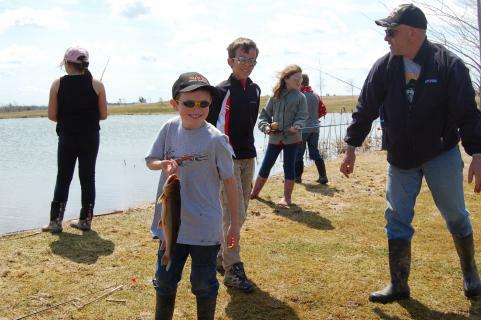 After a classroom session learning about types of fish, their habitat, food and how to prepare for a fishing adventure, the students travelled to the pond at nearby Fox Hollow Golf Course to try their luck in a stocked pond. The students were very excited to give the sport a try; several went home with fish for supper!